LunarPing is monitoring tool developed on Grails used as an third party client that access your Internet connected service outside your system / network. Via an admin tool you setup tests to be run and can then get notifications via email and SMS when thing goes bad. 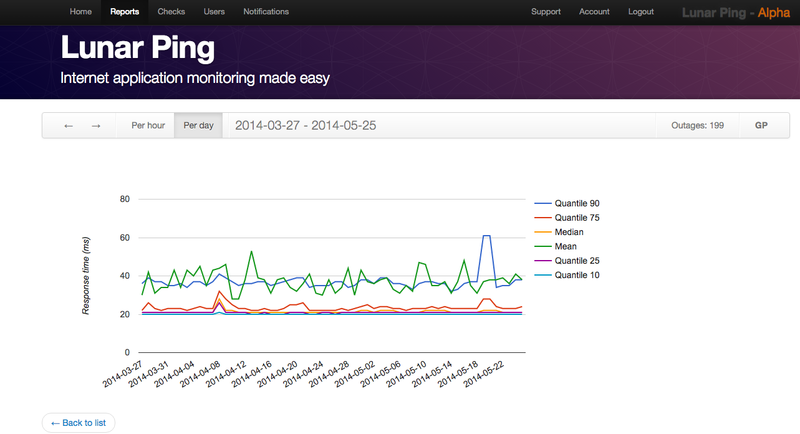 You can also see historical response times and follow trends.